Grr. I thought I posted this, but it seems to have disappeared. I had originally written something when I was totally impressed by my Evening with William Shatner. Not to say that I’m not still totally impressed, but it was a week ago, and now I don’t recall everything that was totally impressive and amazing about it. I think the main thing that impressed me was all the different things he’d done. Nothing really beyond acting, except for a commerce degree from McGill University, but a lot of acting. I always wonder where older actors come from, like Jon Hamm in Mad Men. I mean how does a 36-year-old actor just happen to be cast as the lead in a [shortly to be] critically acclaimed television show when I’ve never seen him before? 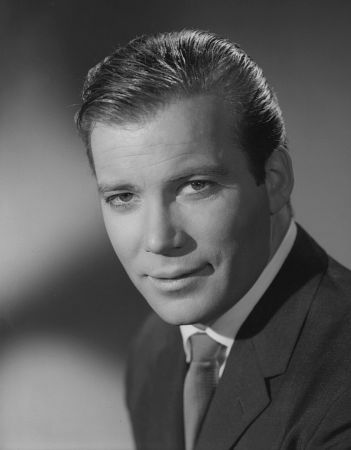 Shatner was 35 when he started as Captain James Tiberius Kirk on Star Trek. What did he do before that? He acted in school plays, worked for a theatre company, acted at Stratford, on Broadway, and in a huge number of movies and television shows throughout the 50s and 60s. Even now, he still acts in television, makes documentaries, raises horses, and does charity work. And he tells great stories. Funny, often self-deprecating, stories; interesting stories about his family, his relationships with other actors, or show business; and heart-warming stories about love, loss, and redemption. The show had it all. I’m sorry to be so late posting this: his last two shows are this week in Toronto and Montréal. This entry was posted in Funny, People and tagged Captain James Tiberius Kirk, Star Trek.